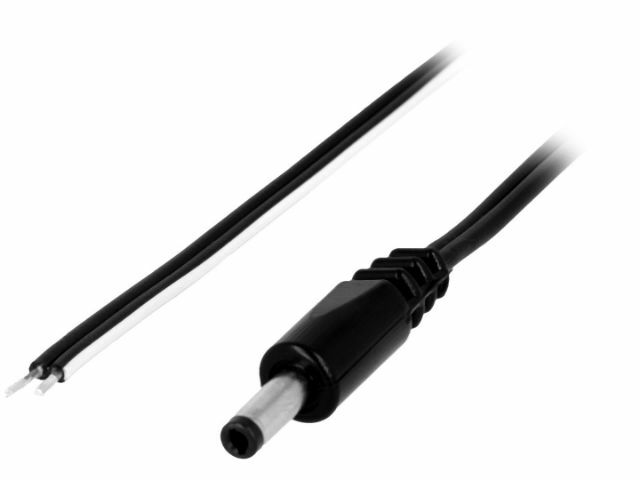 DC.CAB.1000 are power cords with DC 4.0/1.7mm plug, with contact measuring 9.5mm. The plugs are injected and together with grommets they form a single element. The wires with cross-section of 0.5mm 2 have tinned ends, which facilitates their mounting. The DC.CAB.1000 power cords are commonly used in PSUs for HP notebooks, as well as some radio/TV appliances from Sony.